Initially I had thought that this challenge would be easy, blue is my favourite colour, so I dyed fabric in one shade of blue with different hues and then set about with my design, but it did not work I did not have the contrast I needed. So what to do when I am having a mental block I turn to my books for inspiration and saw a quilt that attracted me by Fenella Davies title “Sunform in Magenta”, not wanting to “copy” I thought about ways to make this mine. 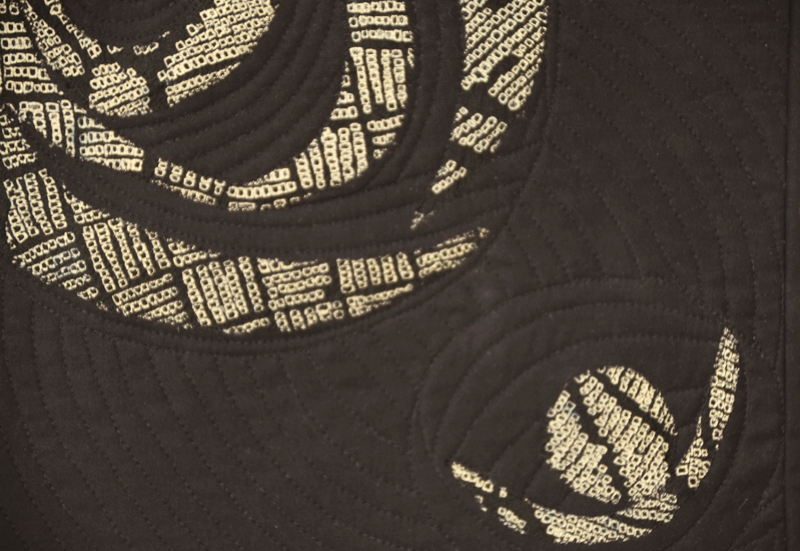 One of our previous challenges was “Time” and I designed “Time Warp”, this time I decided on “Time Travel” as my theme and would use the same Japanese fabric, so my colour palette is black and off white. The quilt is raw appliquéd and machine quilted. Kaylene, your quilt reminds me of the Glasgow rose made famous by Charles Rennie Mackintosh…(http://en.wikipedia.org/wiki/Charles_Rennie_Mackintosh)…and a rose bud. Only when I read your description did I ‘get’ what you were depicting, so powerful is your image of the rose! Kaylene—It was worth getting out of your colour comfort zone. At first I thought it was a Mackintosh rose–it reminded me of the design on some of his furniture that I had seen in the Applied Arts Museum in Vienna. The Japanese fabric is perfect in this design. Beautiful interpretation Kaylene, really graphic ! What a strong composition. Beautiful. Love the simplicity of this, can also see a resemblance to Rennie Mackintosh. 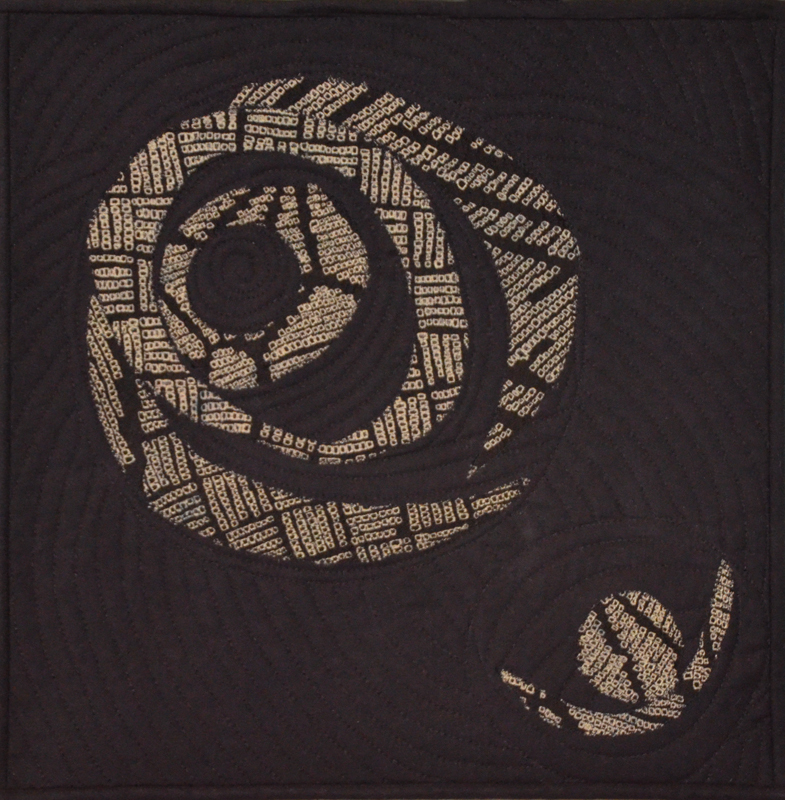 The fluidity of the background quilting really echoes the flow of the motifs, great work! What a lovely piece. I love the quilting!